Smart meters (also known as digital or advanced meters) have been touted as one of the greatest energy developments of modern time. All homes and businesses in Victoria are already fitted with smart meters, and now the technology is about to become mainstream in other major jurisdictions following changes to the National Electricity Rules. So what are smart meters and why the move toward them? In this article, we discuss the pros and cons of smart meters and how you can get the most out of yours. Smart meters record electricity usage (per kWh) every 30 minutes and send this information to your electricity retailer for billing. Unlike traditional meters, smart meters don’t require someone to physically attend your property to take a meter reading. This means you should never again receive an estimated bill from your power company. It is easy at first to be sceptical about smart meters, but it’s not just the energy companies that can benefit from the technology. 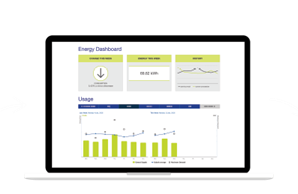 Households and businesses with smart meters are eligible for new deals through certain providers and have access to a myriad of live energy-usage usage statistics. A smart meter could potentially save you a considerable amount on your electricity bill. Only by understanding your energy usage can you act on it and reduce costs. Electricity meters record energy usage information every 30 minutes. Customers of some retailers, or those connected to certain energy networks, will have access to this information through mobile apps or web portals. Depending on the energy company, customers are given information on how much energy they’re using, when they’re using it, how their property compares to others in the area, and more. This lets customers identify where they may be wasting electricity and how they can cut down to save on their bill. Some apps, such as the AGL energy app, even provide bill predictions and usage alerts so you’re never caught off guard by a shock electricity bill. Smart meter users can sign up for flexible energy pricing, which is practically the same as a normal time of use tariff. The only difference is that the older time-of-use meters take multiple readings, while a flexible price meter will simply make a single continual usage reading, but simultaneously record the time of usage. Flexible pricing tariffs charge three rates depending on the time of day: Peak, off-peak and shoulder. Fault detection: Electricity distributors can now more easily notice when a property or area is not receiving an electricity feed. This can help distributors more easily identify the problem and respond to it sooner. Lower connection fees: Metering and connection fees are considerably lower with smart meters. Traditional meters require a meter reader to read and connect the meter, however this can all be done remotely with smart meters. 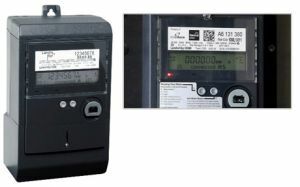 Accordingly, while you might pay a connection fee of around $20-$25 with traditional meters, smart-metered properties need only pay around $5. Like with anything new, smart meters have been met with some opposition. While government and industry bodies have praised the technology as the future of electricity retail, others have raised potential health and privacy concerns. The concern with smart meters surrounding health has to do with the levels of radio frequency electromagnetic energy (RF EME) output – a form of radiation. There have been reports, particularly in Victoria, of people experiencing symptoms of electromagnetic hypersensitivity (headaches, tinnitus, insomnia etc) shortly after having a smart meter installed. At this stage, however, there is no clear evidence that suggests smart meters are responsible for these effects. The Victorian government addresses health concerns on its website. It commissioned studies into the RF EME of smart meters in 2011 and 2015 found that it complies with the minimum standards imposed by the Australian Radiation Protection and Nuclear Safety Agency (ARPANSA). As such, government energy authorities are confident smart meters pose no threat to your health. Are smart meters too invasive? As for the questions surrounding privacy, smart meters draw usage information every half an hour, giving consumers and power companies unprecedented insight into your electricity usage. 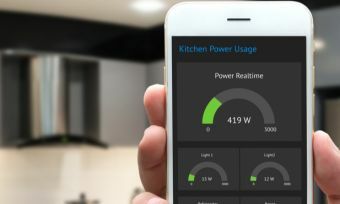 Concerns have been raised that energy companies can now draw insights into when you’re home, when you’re sleeping, and possibly even what appliances you’re using based on usage figures. Some jurisdictions have imposed restrictions on the use of this information, banning its sale for marketing purposes. However, there are no such laws as yet in Australia. Security: We live in a digital world with new risks. Like everything involving computers these days, some have raised concerns that smart meters could be hacked to cut electricity supply or change usage figures. Appliance faults: There are occasionally reports of smart meters causing damage to wiring and appliances, however, electricity companies insist smart meters are not at fault. Limited choice of retailer: Outside of Victoria, a few retailers either don’t offer digital meter services, or limit what’s available. While retailers like this are becoming increasingly rare, there’s a chance you may have a little less choice of energy companies. There are a number of groups dedicated to raising awareness regarding their concerns with smart meters, the most prominent of which being Stop Smart Meters Australia. This group dedicates itself to opposing the mandated smart meter rollout on the grounds of health, privacy, security, financial and safety concerns. It’s easy to find the arguments in favour of smart meters, but if you’re interested in the other side of the story, be sure to check out the website. Smart meters cost around $600 to install. Fortunately, as part of the market-led rollout of smart meters, many retailers will front the initial cost on behalf of their customers. However, this cost is then recovered through additional charges in your electricity bill. If your retailer pays for the meter, ensure you ask about ongoing costs and possible exit fees. Under the Power of Choice Reforms in late 2017, customers in most Australian jurisdictions are no longer able to purchase traditional meters. All new meters must be digital or smart meters, however, there is no requirement to upgrade if you already have an old meter installed. If you are uncomfortable with your electricity retailer having access to your real-time usage data, you can request a non-communicating meter before installation. Where can I buy a smart meter? You will need to contact your electricity retailer, and not the distributor, to organise the installation of a new smart meter. Smart meters can be installed regardless of whether or not a property has solar installed. Smart meters measure electricity being exported by your solar system and any applicable feed-in tariffs or subsidies will be applied as usual. Some apps, such as the one offered by Powershop, include features which show you how much electricity your solar system is exporting. This means smart meters make it easier to see the savings of solar. What happens to my current electricity deal? Upgrading to a smart meter means you will have access to more tariff structures – including time-of-use/flexible rates. Changing your tariff generally won’t affect your energy deal, so you should still receive the same discounts and rewards as before. Be sure to ask your retailer about possible changes to your energy plan before going ahead with installing a smart meter. Can I take the smart meter when I move house? No. Even if you paid for the smart meter installation yourself, the smart meter can not ordinarily be removed and relocated to another property. As we know, smart meters provide close to real-time energy usage information, but some electricity retailers and distributors are utilising this information better than others. If you’re keen to get the most out of your smart meter, the following companies all provide specialised reporting services. 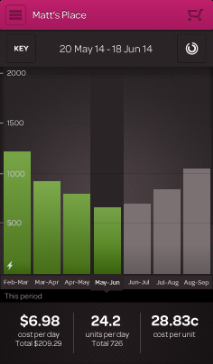 Non-smart meter customers can track usage by imputing kWh figures manually. Where to now for smart meters? Whether you like it or not, smart meters appear to be where the future of grid energy is heading. While some have raised concerns, smart meters have an undeniable potential to help consumers understand and reduce their electricity usage by arming them with more information.